She’s almost there! After a decade of soaring through the inner solar system ESA’s Rosetta spacecraft (and Philae lander) are now on final approach to Comet 67P/Churyumov-Gerasimenko, the ultimate goal of the mission. On August 6 the spacecraft will approach within 100 km of the comet and attempt to establish orbit — if successful, Rosetta will become the first spacecraft ever to do so! Check that out! 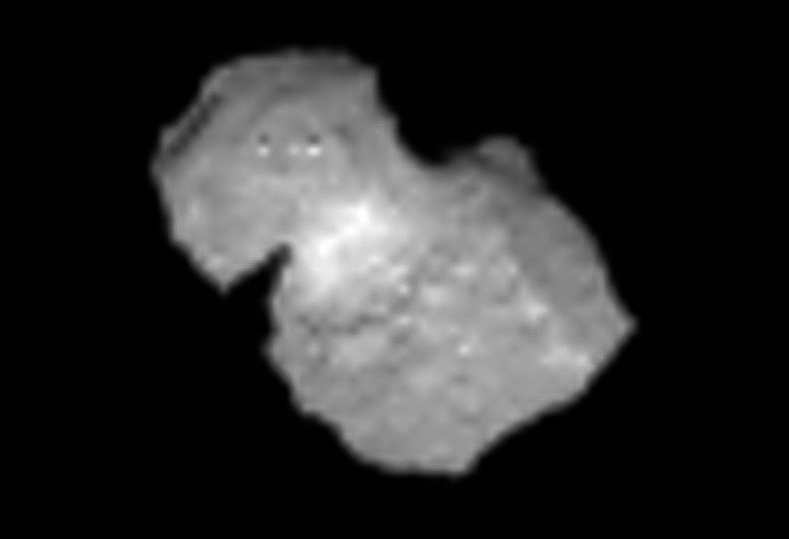 The rugged terrain on 67P is even more evident in this 37m/pixel image, as are some of the bright spots and bands that had been seen previously during Rosetta’s approach. And, of course, Rosetta and Philae will be along for the ride, watching it all play out. 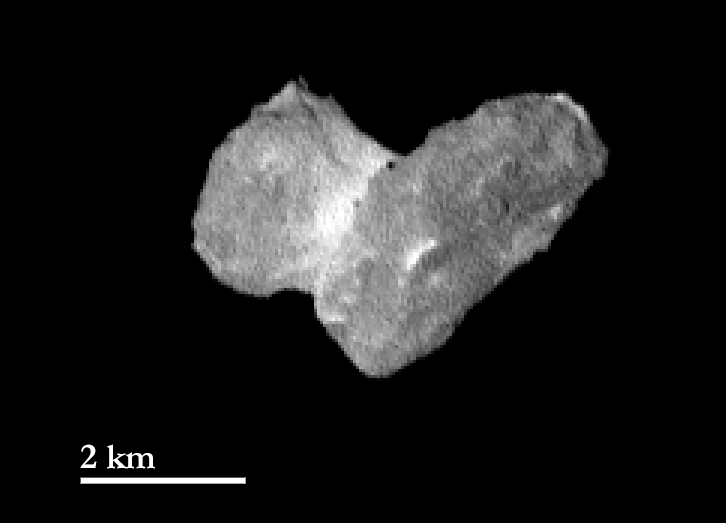 “With only a few days until we arrive at just 100 km distance from the comet, we are excited to start analysing this fascinating little world in more and more detail,” said VIRTIS principal investigator Fabrizio Capaccioni. 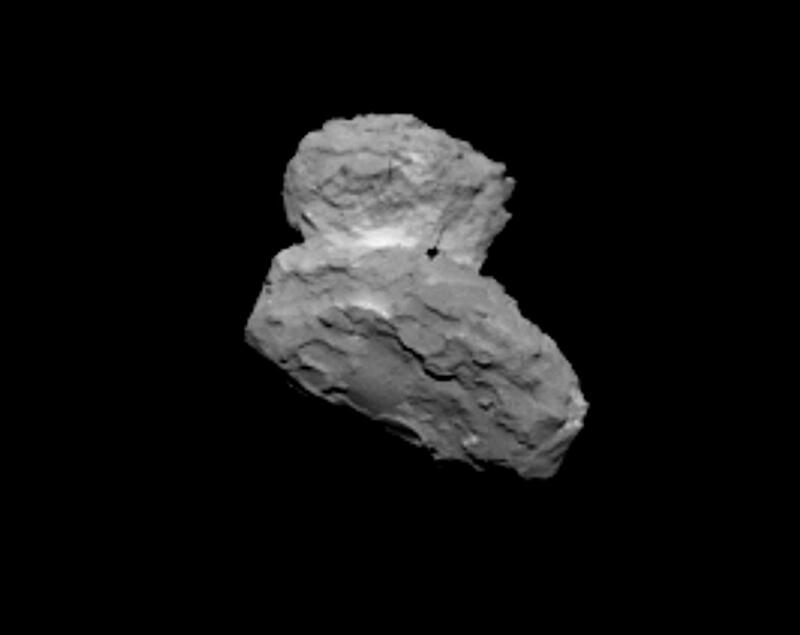 For the latest news on Rosetta, Philae, and 67P, keep up with ESA’s Rosetta blog. Looks like a boot kind of….